Diamonds, the birthstone of April, are commonly associated with love which make it the perfect gift for a loved one. 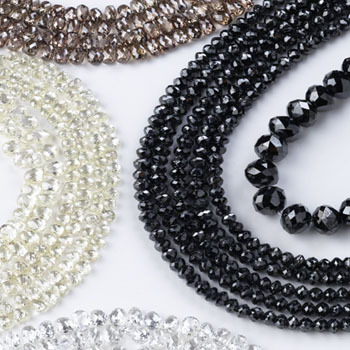 While white diamonds are most common, fancy colored diamonds can be found in various colors including yellow, blue, pink and a variety of others as well. .
ALL RIGHTS RESERVED © A BETTER PLACE TO BEAD, 2008.